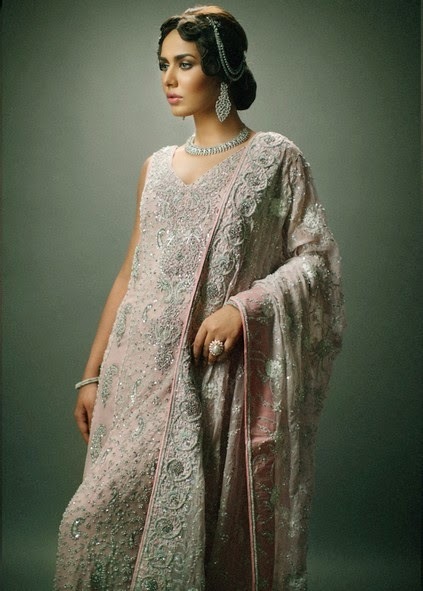 Deepak Parwani, One of the brilliant name in Pakistan’s fashion industry. Yes! he is one of the pioneering fashion designer who has started his fashion career at the age of 20 and got an exceptional reviews from the people. Then he develops his own fashion house having a Mireille Couture and Extravagance Pret label as Deepak Perwani creations. 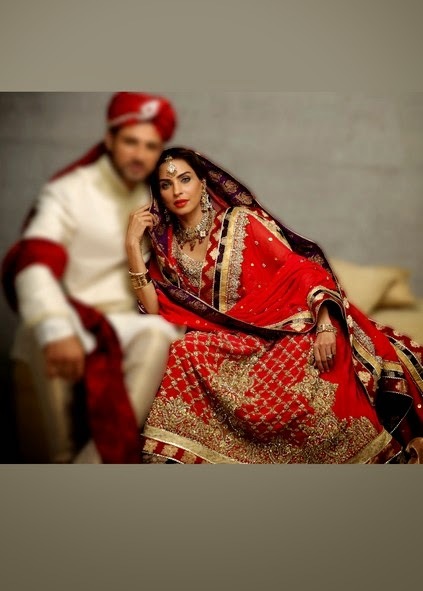 He versions such a wealthy and regal seeking bridal, wedding and formal/ party wear dresses for both genders, Men and women. Due to its extraordinary trend label he won the award of the best fashion designer at Lux Style Awards 2011. 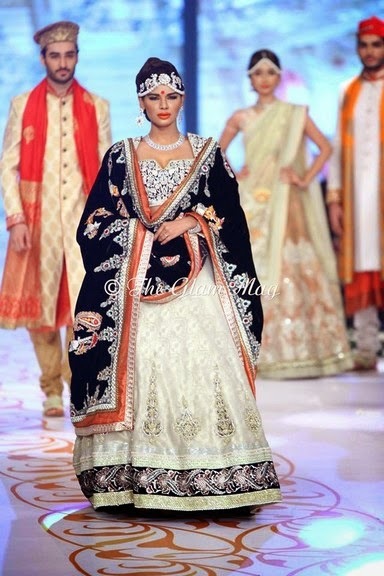 Today i am going to share the Deepak Perwani Latest Wedding Dresses Collection for women 2014/ 2015. In his latest bridal collection 2014 he has designed masterpieces of beautifully stitched lehengas, bridal shararas, floor length gowns, braidsmaid gowns and dresses, long shirts, frocks, multicolored fancy and embroidered shararahs, ghararahs, mid and full length shirts with chorri pajamas and palzzo/ trousers, a-line shirts, jumpsuits,wide maxis for fresh modern brides. Besides this he also designs wonderful heart catching attires for party and formal wear for men and women. He use traditional cuts and embellishments with the combination of western and eastern style in this designs. 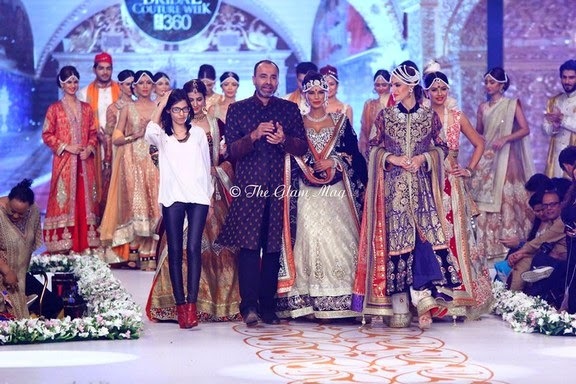 Recently Deepak Perwani has presented his Bridal/ Wedding collection 2014 for Men and women at pantene bridal couture week 2014 which was well-organized at Karachi. 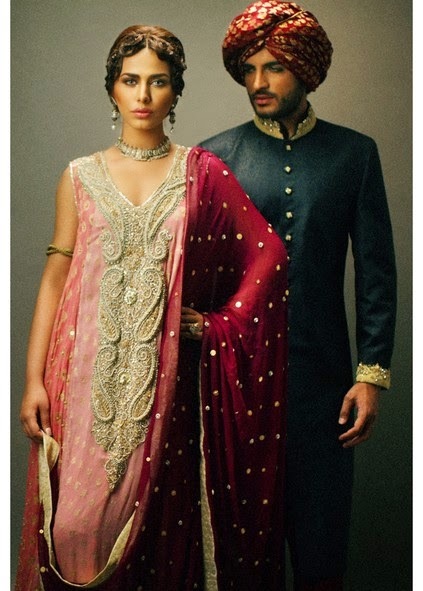 The Series contains superb breathtaking wedding wear dresses for Modern day Brides and Grooms. He is considered as a royal designer, as his cool layouts always depicts the royalties attitude and behavior. 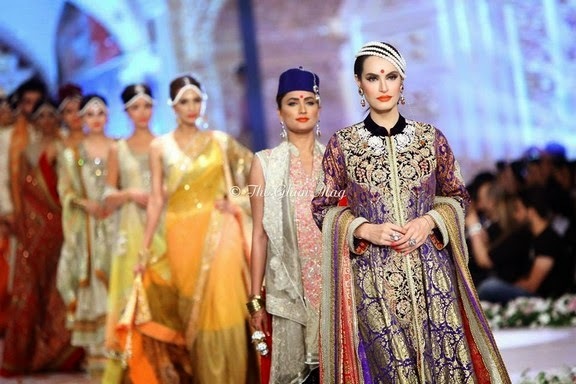 PBCW is one of the enchanting occurrence which is sorted out twice in a year at Karachi or Lahore Pakistan. The most prominent brands and top fashion designers get participated at this event and display their hottest arrivals. 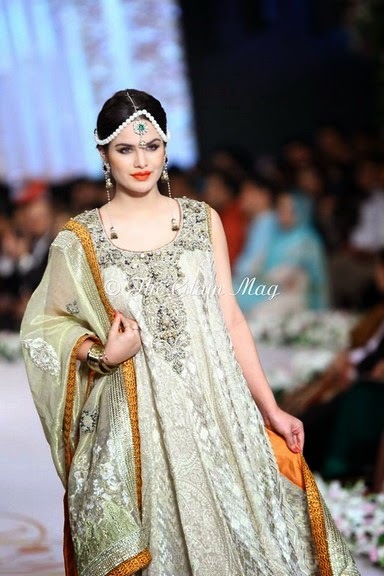 This is 3rd day coverage of Pantene Bridal couture week-14. The recent PBCW was arranged at Expo center Karachi from 9th May till 11th May 2014. Deepak Perwani exhibited his hot off the press bridal / wedding wear formal outfits such as bridal suits, Georgette, chiffon, Crinkle stuffed fancy and embroidery work dresses, white silver color lehengas paired with red Kurtis, anarkali umbrella style long frocks, brilliantly adorned maxis, dazzling bridal gowns and many more. The colors used is the combination of light and dark ones like red, mehroon, golden, silver, peach, green, royal blue, orange, off white, brown, black, yellow etc. For Men he demonstrates the latest traditional styled sherwanis, kurtas, salwar kameez etc. The well-known Pakistani model Neeha Ahmed at the ramp is seen and is truly appearing stunning. I hope you’ll like and enjoy the whole assortment and now it is choosing an appropriate and suitable wedding dress for your own or someone’s marriage ceremony is not yet difficult. Get inspired by the photo gallery posted below!